Ernst Friedrich "Fritz" Schumacher (19 August 1911 – 4 September 1977) was an internationally influential economic thinker, statistician and economist in Britain, serving as Chief Economic Advisor to the UK National Coal Board for two decades. His ideas became popularised in much of the English-speaking world during the 1970s. He is best known for his critique of Western economies and his proposals for human-scale, decentralised and appropriate technologies. According to The Times Literary Supplement in 1995, his 1973 book Small Is Beautiful: a study of economics as if people mattered was among the 100 most influential books published since World War II. It was soon translated into many languages, bringing him international fame. Schumacher's basic development theories have been summed up in the catch-phrases Intermediate Size and Intermediate Technology. In 1977 he published A Guide for the Perplexed as a critique of materialist scientism and as an exploration of the nature and organisation of knowledge. Together with long-time friends and associates like Professor Mansur Hoda, Schumacher founded the Intermediate Technology Development Group (now Practical Action) in 1966. 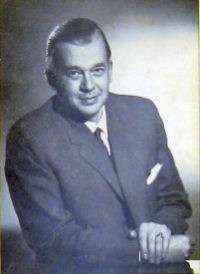 E F Schumacher was greatly influenced by Mahatma Gandhi and J. C. Kumarappa and Gandhi's concepts of "Economy of Permanence" and appropriate technology. While delivering the Gandhi Memorial Lecture at the Gandhian Institute of Studies at Varanasi (India) in 1973, Schumacher described Gandhi as the greatest 'People's Economist' whose economic thinking was compatible with spirituality as opposed to materialism. Schumacher's personal collection of books and archives are held by the Schumacher Center for New Economics library in Great Barrington, Massachusetts. The Center continues the work of E. F. Schumacher by maintaining a research library, organising lectures and seminars, publishing papers, developing model economic programs, and providing technical assistance to groups all for the purpose of linking people, land, and community to build strong, diverse local economies. ↑ Leopold Kohr. "Tribute to E. F. Schumacher" at the Wayback Machine (archived 11 October 2007), in Satish Kumar (ed. ), The Schumacher Lectures, Harper & Row, 1980. ↑ Diana Schumacher. "Who was Fritz Schumacher?" ↑ Julia Forster. "E. F. Schumacher"
↑ Charles Fager. "Small Is Beautiful, and So Is Rome: The Surprising Faith of E. F. Schumacher", Christian Century, 6 April 1977. ↑ Pearce, Joseph (2008). "The Education of E.F. Schumacher". God Spy. ↑ Schumacher Center for a New Economics web site. ↑ "An Economics Embodying Our Highest Ideals". Schumacher Center For New Economics. Retrieved 16 April 2013.